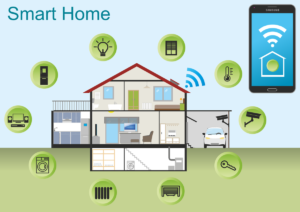 What do you need for a Smart Home? 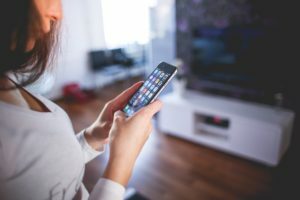 Smart phones are a necessity in today’s world, and a smart home is on trend to becoming a must-have too. A smart home is a residence which has a set of appliances, lighting systems, air-conditioners, televisions, home theater systems, security cameras which can communicate with one another. They could be controlled using a smart phone or any other means through the internet to schedule a set of instructions whether the house owner is in-house or not. It brings in great benefits for people who value conveniences. In addition, it could bring down your costs of energy and save the energy at the same time too. However, most houses don’t have in-built accessibility to these options – it is only possible if the house owner equips the house with few smart products. Though the costs of upgrading to a smart home may look high in the short-run, it could be beneficial in the long run. First, you need a central “command center” for your smart home. The Amazon Echo is perfect candidate with its voice-controlled smart speaker and its (highly intelligent and entertaining) virtual assistant Alexa. You could set up a simple smart lighting system for a price tag of less than $200, and an extra bulb will cost you roughly $50. Both the Lifx Color 1000 and the Philips Hue Wireless Dimming Kit are great choices. Simple integrations for maximum efficiency. Want to save energy (and the environment at the same time)? Go for a smart thermostat to control the temperature for your entire place remotely. The most popular smart climate controlling device in the market is the Nest Learning Thermostat. It doesn’t require much programming; it learns your schedule and programs itself – that’s what we call ‘smart’. A quality smart lock is what you will need next. It is convenient and safe to manage these smart locks from your smartphone. Also, it is best you for you to include a smart security cameras for your systems. Say hello to peaceful rest times with a bot to record and alert you of any strange activities – even if you’re not at home.